NEW BIOBELT 7000mx NOW AVAILABLE! The Richway Biobelt is back! 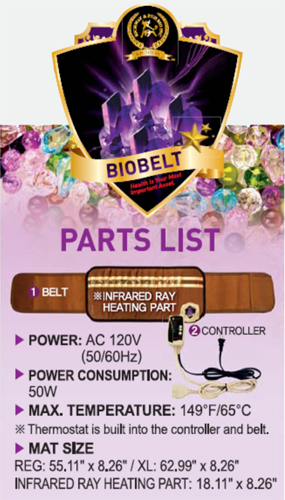 The Biobelt uses eight different semi-precious stones to produce infrared rays and negative ions, both of which provide targeted healing. These therapies are now being recognized by science as viable alternatives to pharmeceutical remedies. Back pain will be alleviated. Muscles will relax. The Richway Biobelt can be wrapped around any part of the body to relieve joint and muscle pain. Because the back is the central axis point of our bodies, it is very important and the rest of our bodies rely on it heavily. When your back is out of whack or ailing, the rest of the body suffers. Applying thermotherapy (which is what all Biomats deliver) to your back by way of infrared rays will help greatly in not only alleviating back pain, but also in healing what has damaged your back in the first place. 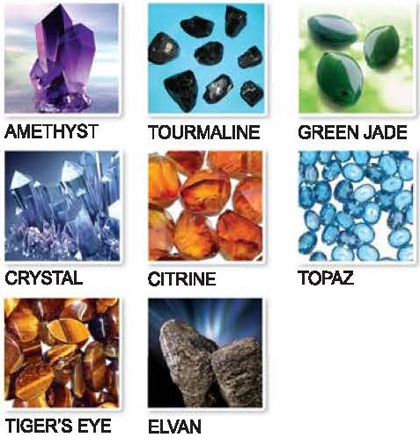 There are many people that hear about healing the body with gemstones and think that its some new age idea and its not. For thousands of years, people have been using crystals and stones for their health. Crystals are used today to store and transmit energy in your computers and in laser treatments. All of the stones used in the Biobelt emit negative ions or infrared rays and together they provide a powerful healing tool.